Veteran royal broadcaster Jennie Bond explores the life of Britain's longest reigning monarch. Wife, mother and head of state, who is the real Elizabeth? What do the headlines hide? How close to reality are the television interpretations? Once a minor royal, she is now one of the most recognisable women in the world. Admired by many, she has reigned through a period of unprecedented change, steering the monarchy through the end of an empire, public scandals and private losses. This in-depth history uses archives, recreations and eyewitness testimony to bring to life the story of this most remarkable woman. 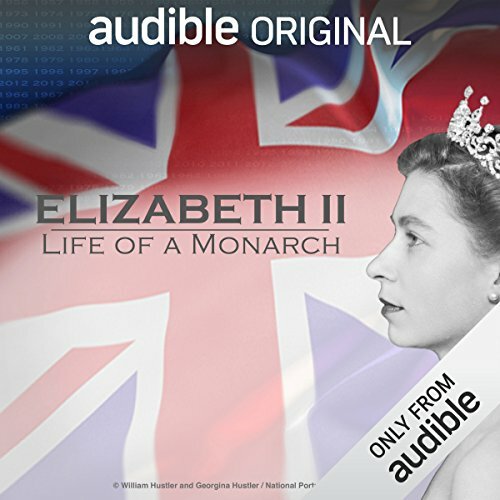 As an Audio Show - free for members - when you add Elizabeth II: Life of a Monarch to your library, you'll get all eight episodes, each with a runtime of about 30 minutes. It was a nice rounded overview of the topic that I had little knowledge of except in passing conversations with my grandmother. Not too much and yet filed in nicely. I would really enjoy learning more about this amazing woman in my future studies. Surprised me how much I enjoyed it! I have to admit, I only picked this up because it was free on Audible and I was mildly curious. I didn't expect to really be super interested. But this is very well written, produced, and narrated. I found myself swept along in the life of an amazing and all she's experienced and had to weather. Well worth a listen if you have interest in British history and even if you don't.